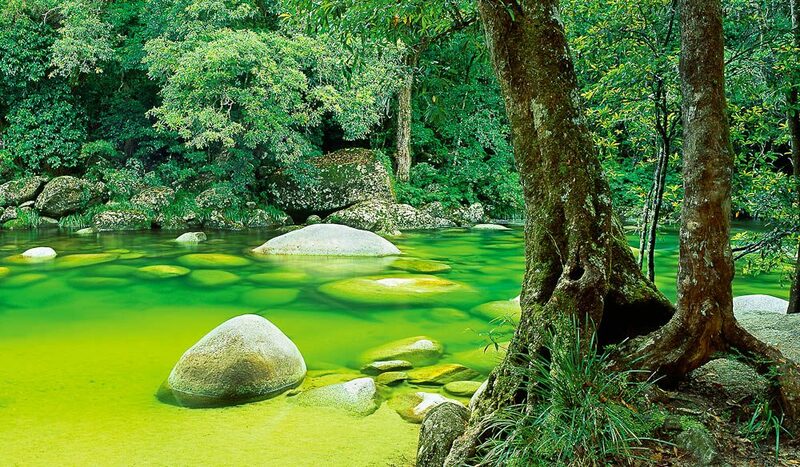 This image was taken from the base of steps down to the waterhole at Mossman Gorge. The the best way to see this view first-hand is on fivefoot. Guided walks are available, which encompass other sites that are culturally significant to the local Kuku Yalanji people. The vivid green of the water pictured tends to happen after extended periods without rain. According to the photographer, for ultimate serenity, the best time to visit is early in the morning before the crowds set in.